Doesn't that make the fur on the back of you neck stand up straight? Maybe you don't even need to have a product or service to be successful, but let's not talk about Northeastern PA folklore. You know that is not how it should work and when I am elected, I promise to change this paradigm and if I cannot I will be home on the first bus. I won't give up so fast! But, I will feel like it! I will publish the names of all the people who want to make government corrupt. Then I will work to remove them from government. Would it not be nice to have a system that empowers rather than punishes entrepreneurs --- small and home-based businesses by encouraging the federal and state legislators and the municipalities to make it easy for us all to do business in that state, or municipality just because we are all in the US. My state, Pennsylvania is as bad as the rest. I know I can't even get a permit for working on my own house without bringing in a contractor. Sometimes I feel like I need a minister, a priest or a Rabbi to get through the corruption. The officials from what I have seen like the idea of bringing in a contractor and creating red tape because they are more likely to understand envelope ethics than a priest. It is widely accepted that even in a truly market-oriented economy, some level of regulation is necessary. Natural behaviors of economic agents will not always lead to perfect competition and market equilibrium. It would be nice if every business that is created, in turn creates situations in which consumers enjoy the highest possible level of enfranchisement and prosperity. Sir Thomas More and Henry David Thoreau would agree for sure. But business, does not bring Utopia, and the lackies in government would pervert it if it were ever to be possible. President Obama's regulation burden on Americans into his eighth year has been simply punishing. He may succeed in his overall plan to eliminate our most abundant energy resource – coal, from the available fossil fuels that we are able to use. Either. He is hoping to make it so expensive that any coal burn will create more of a financial burn than it is worth. Before the new younger Trudeau took over in Canada, Prime Minister Stephen Harper and President Obama together acknowledged the destructive impact of excessive regulations way back in 2011. The two agreed to do something about it. Ironically, Obama is the master creator of red tape and regulations and so his agreement, considering that his own policies are the “silent killer of jobs,” was somewhat surprising. Those of us that have watched his actions over the years know well that It does not help to pay attention to Obama's words. The Presidents revels in chicanery and deception and he is known to lie a little for effect. So, during this period in which the two countries were engaging in seemingly fruitful dialogue, Canada was actually doing something. They moved forward with a promising approach that our neighbor from the North felt would give them a competitive edge over the US. This was good news for beleaguered small business owners in Canada but it was a hollow promise for small business owners in the United States. Harper seemed to really understand and Canada was ready to unburden its small business engine by removing as many of the plethora of rules from all levels of government that small businesses in Canada had to deal with. He acknowledged that red tape takes valuable time away from serving customers, developing business plans and spending time with family. For what? Bumbling bureaucrats have more to do the more regulations that are brought forth. But, the whole country pays when the bureaucracy is not idle. The fruits of this effort were expected to pay off big for the Canucks even though their whole country is just 1/10 our size. The Canadian Federation of Independent Business estimated at the time that over-regulation was costing Canadian businesses more than $30-billion a year. The US SBA estimated the US Federal Government burden on businesses from US red tape was a staggering $1.75-trillion a year. Reducing these costs by even 10% would constitute a serious economic stimulus in either country without adding to deficits. On the surface, the supposed Obama initiative itself sounded promising. Yet, when I heard it, I knew Obama was kidding as his bureaucrats were continuing to write regulations as fast as their fingers could hit their keyboards. When speaking to Americans formally, Obama barely mentioned his Executive Order on red tape and now, five years later, we hear none of it. Maybe it is because the President is concentrating on pulling off a Clinton grab for the WH silverware on his way out of office. After all, Hillary has her own set of White House cutlery so she should not need it. Let me further amplify our plight with the Regulator in Chief pulling out all the stops on regulations. During the lip service period with Harper from Canada, our President presided over an increase from 3,573 to 3,807—a 6.5 percent increase in new regulations. When you are writing new regulations and creating more red tape, reducing the regulation books is not a priority. At the same time as this, the number of proposed rules increased 18.8 percent. The published regulatory burden for 2012 was over $105 billion, according to the American Action Forum, headed by the former head of the C.B.O. Looking back, the number of economically significant rules in the pipeline over the least ten years has been one continuous sea of red tape. Just the new regulations costing businesses hundreds of millions of dollars each yea. Overall, the increase in just the last few years has been more than 137 percent, according to formal reports. To help show the ruse of the Obama red tape elimination program moving to 2013, Heritage Foundation experts were cautioning that those who felt they may not be paying enough for their heating bill were in luck. They pointed out that the President had decided to whack their pocketbooks for the opportunity to stay warm in winter. Few say they are not paying enough today and it is getting worse. In 2013, Obama’s EPA as usual were pushing new regulations on power plants. The regulations and red tape as expected helped kill more jobs, jacked up energy costs, and reduced families’ income. Expensive energy has a multiplier impact on the prices of everything everybody buys. How’s your heating bill? If you feel like you’re not paying enough, you may still be in luck. Obama is not finished yet. Heritage experts Nicolas Loris, Kevin Dayaratna, and David Kreutzer use these few words to make their point"
These regulations will act as a major energy tax that would negatively impact American households. Americans will suffer through higher energy bills, but also through higher prices for goods and services, slowing the economy and crippling the manufacturing sector. …It will cost more to heat, cool, and light homes, and to cook meals. These higher energy prices will also have rippling effects throughout the economy. As energy prices increase, the cost of making products rises. The EPA’s war right now continues against coal, which is the main source of electricity for 21 states. Heritage experts see the EPA’s regulations between 2015 and 2038 as phasing out coal simply because it is "Bad!" Bad!" "Bad!" Ironically, I am still alive after growing up in a home heated by coal. 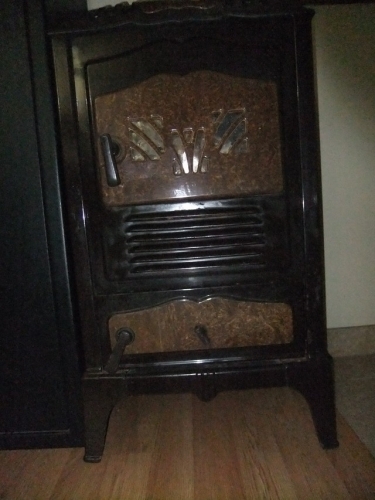 I grew up with a coal stove in the kitchen for cooking and hot water, and a Heatrola in between the dining room and the "parlor." The Heatrola heated the downstairs and at night when it was dampened-off, whatever heat trickled upstairs through the closed staircase was much appreciated . Somehow, we are still healthy. The coal did not kill us nor did the smoke from our neighbors' chimneys. Yet, Obama, who grew up in all warm climates gets the final word on coal. He says that coal is "Bad!" "Bad!" "Bad!" There were nights growing up that were so cold that when I woke up in the morning, the glass of water on my dresser from the night before would have a rim of ice at the top! Without those two coal stoves, I think it is safe to say, we would have been long dead from frostbite. I love coal. Thank you, King Coal! Sorry Mr. President but you are wrong! The Federal government keeps hiring regulators. Guess what they produce—more regulations and more red tape. What else? In Texas, recently, a Lone Star State business alliance accused the U.S. EPA of seeking to control “every pond, puddle and ditch in Texas.” They blasted the EPA’s proposed “Waters of the United States” as bureaucratic overreach. “There could be almost no end to the federal red tape, fines and fees,” said NFIB/Texas Executive Director Will Newton. A 2014 / 2015 report found that just the major regulations imposed by the Obama administration cost Americans more than $80 billion per year over the past six years. I suspect there are few Americans who think that President Obama is not the all-time champion in job-killing regulations such as Obamacare and so we are not surprised when we learn is even worse than we thought. Though in 2011, he promised to address red tape, he has added to our burden significantly. His regulation-spewing administration by the beginning of 2016, had set a new White House record for imposing rules. It now holds the title for publishing the most Federal Register red tape ever, 545,857 pages. Can any human ever read all of those pages? President Obama now owns six of the seven highest Federal Register page totals since it first began publishing such accounts in 1936. Complying with the raging tsunami of new Obamacare rules and regulations will cost American businesses and families 127 million hours annually, enough time to carve out another 1,039 Mount Rushmores which took 14 years complete, according to a new House report. "With many rules and regulations yet to come, these 127 million burden hours - many of them due to complying with new taxes - are just the tip of the iceberg," warned Ways and Means Chairman Rep. Dave Camp. "The regulatory tsunami generated by Obamacare is forcing employers to spend time and money complying with the dictates of a government takeover of health care instead of creating jobs and investing in our economy," said Education and the Workforce Committee Chairman Rep. John Kline. "This is valuable time that could be used to run businesses, create jobs, and grow the economy," added Energy and Commerce Chairman Rep. Fred Upton. Red tape helps nobody. Red tape is the maze of government rules, regulations, and paperwork with which one must deal in order to simply live in America. One common complaint during the entirety of the Obama administration is that "red tape" has made government so overwhelming to citizens that many people try to avoid any contact with government whatsoever. The problem for John Q Public, without even talking about the business burden, involves filling out forms, standing in line, and being put on hold on the telephone, and of course lots more. All of this has resulted in many people being discouraged from ever approaching a government counter—even to apply for benefits to which they are entitled. All attempts to reign it in over the years have been futile. More than likely the reason for this is that a bureaucracy would be needed just to undo the bureaucracy. The new bureaucracy may be as large or larger than the bureaucracy itself. Not counting the Obama PR initiative of 2011 with Harper of Canada, which was not for real, the latest major attempt at taming the red tape snake, was called the National Performance Review. It originated in 1993. This report detailed many horror stories about useless red tape for both citizens and government officials themselves. It called for the obvious—less centralized management, more employee initiative, fewer rules, and more emphasis on customer satisfaction. As of the year 2000, few of the recommendations had been followed and now advancing to 2016, with a president who loves to bathe in a sea of red tape, there is little hope for anything good to happen. We need a business person in the White House with CEO experience to fight the red tape monster for real. Though some feeble attempts are symbolically made by the President and Congress. Meanwhile, the red tape that is wrapping all aspects of government remains rather sticky. On its own it is going no-place. Nothing is perfect but regulations are so less than perfect there is an outhouse odor as you even approach a house of regulation. To start a perfectly safe business, there is always the risk of government and some bureaucrat at some level trying to shut it all down. Yes, there are issues that we all need to be protected from but--not being able to earn a living--is not one of those issues. We do not have to be perfect and should not have to be perfect and none of the regulations on any set of government books are perfect either. History shows they are major impediments to the success of ordinary people. Some suggest we need regulation for negative externalities (e.g. pollution), information asymmetries (such as a moral hazard and adverse selection in the insurance sector). And, there are natural monopolies. Admittedly, they exist, albeit for a limited period of time. Overall, it simply is politicians wanting a piece of the action and having their own agenda. The Heritage Foundation, a conservative think tank, does come up with some good ideas regarding business and freedom. They suggest that when the hand of government rises beyond the ‘minimal level’, it begins to erode and corrode freedom. We see freedom disappearing in may ways in the land of Obama today. Municipalities and cities and counties and states that are in "business" to provide regular citizens opportunities to flourish, rather than protect the favored, always do well. But, the greed of politicians is very powerful. 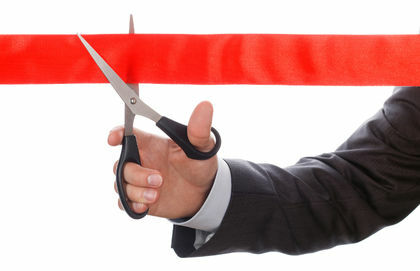 Red tape makes politicians more needed than otherwise and that is their game. Economic freedom is always the first to go. Government naturally continues to interfere as it seems to like to do, at its many levels. Recently as noted, we have seen an ever increasing expansion of government power, all of which requires a level of enforcement. Therefore it requires funding from taxpayers. This funding of course is also extracted from the people. So, by clamping down on business opportunity with regulations, ironically the government requires and thus demands more tribute to be paid for the regulations. It is no wonder that many blame the lack of prosperity today on excessive regulation at all levels of government. Government must permit business to conduct business, and let charities handle the poor. Government intervention with nasty regulations makes business ineffective and it reduces everybody's opportunity for prosperity. Ask any small business person about their persecution from government forms. Government rules at its lowest, inconsequential levels by providing forms, which appear to be written by lawyers for lawyers but in fact they are written by bureaucrats to stifle individual opportunity. Why? It's the political system. It thrives on red tape. Government at all levels must voluntarily reduce the paperwork for new businesses to start and to flourish or else new representatives must be elected to replace the entrenched politicians to assure it happens. All governments are negligent if they choose not to examine the choking regulations that may have seemed good when enacted but are impacting the ability today for a small business to survive. Regulations and red tape are simply stifling and the impact on jobs is all negative. At all levels of government, public servants must vow to remove all the drivel from the books that we can. Somehow the Federal government, the states, and even municipalities for years have thought they had a mission from God to place roadblocks in front of all business activity. They were looking for conforming business activity. Instead they created an environment in which there is very little business activity to be regulated. The Bureaucrats have regulated many otherwise successful businesses out of business. Instead of construction, we see wrecking balls ripping down the successful businesses of yesterday. Where is the new business activity. It is not in the USA. Even a few less roadblocks would help the level of business activity to increase. Our officials from the president on down have an obligation to make conditions right so that somebody with a good idea can launch a business overnight if not sooner.